Over 500 years ago, Martin Luther planted the seeds of a Reformation that swept through the Church, transforming it and profoundly affecting the course of Western Civilization. One of the seminal doctrines introduced by the Reformation was the priesthood of all believers. The job of studying and teaching the Scriptures, of representing a Holy God before sinful men, and approaching God through Christ was no longer the exclusive domain of the professional clergy, but of every believer. 1 Peter 2:5 you also, like living stones, are being built into a spiritual house to be a holy priesthood, offering spiritual sacrifices acceptable to God through Jesus Christ. The modern evangelical church has taken no priestly function more seriously than the injunction for every believer to preach the gospel---known to us as the Great Commission. I believe the Holy Spirit is now in the process of completing what He began through Luther over 500 years ago. Not only is every believer to preach the gospel, every believer is to do the works that Christ did, including miraculous works as confirmation of the gospel. I am not referring to the manifestation of the gift of healing here, which is clearly not given to every believer. I am referring to the fact of physical healing in the atonement. Matthew 8:16 When evening came, many who were demon-possessed were brought to him, and he drove out the spirits with a word and healed all the sick. 17 This was to fulfill what was spoken through the prophet Isaiah: "He took up our infirmities and carried our diseases." Isaiah 53:4 Surely he took up our infirmities and carried our sorrows, yet we considered him stricken by God, smitten by him, and afflicted. 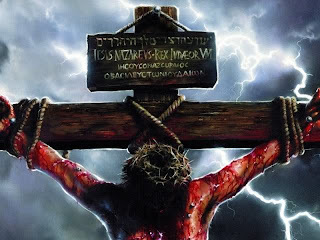 5 But he was pierced for our transgressions, he was crushed for our iniquities; the punishment that brought us peace was upon him, and by his wounds we are healed. These Scriptures clearly show that the atonement which Christ accomplished for us when he died on the cross purchased for us physical healing and deliverance, as well as the greatest benefit of peace with God. When a believer preaches the atonement, both physical healing and forgiveness of sins is available. It is one package. God is perfecting the priesthood of believers, He is restoring His saints into the image of His Son Jesus Christ---not only in terms of his holy character, but also his power and authority for the preaching of the gospel. IS HEALING PROVIDED IN THE ATONEMENT? Most Christians would readily agree that in some way or another, physical healing is included as part of Jesus’ atonement. If it is not received in this life, definitely it will be in the next one. But the real question that causes division is, “Does the atonement of Jesus guarantee physical healing in this life?” When put this way, even the most diehard Pentecostal would admit to the contrary. It must be noted that it is not necessarily a Pentecostal belief that physical healing is provided in the atonement. Renowned Pentecostal Bible scholar Gordon Fee does not hold to this view yet is very convinced that the gifts of the Spirit are still for the church today*. There is the possibility of remaining Pentecostal without believing in faith healing. God may and can still heal through the gifts of healing or through prayer, but he did not provide healing through the atonement. Thus physical healing is possible, but not guaranteed in this life. There are basically 2 verses of scripture that are used to propagate the belief that healing is provided in the atonement – Isa. 53:4 & 5. 4. Surely He has borne our griefs and carried our sorrows: Yet we esteemed Him stricken, smitten by God, and afflicted. 5. But he was wounded for our transgressions, he was bruised for our iniquities; the chastisement for our peace was upon Him, and by his stripes we are healed. It is true that parts of Isa. 53 refer to the atonement. However verse 4 was quoted in Matt. 8:17 where it was applied to Jesus’ earthly ministry. That scripture was fulfilled when Jesus was on earth healing the sick, not when he was on the cross dying. Verse 5 definitely refers to the atonement. But does it refer to physical healing or otherwise? In 1 Peter 2:24 it was quoted in the context of spiritual healing. Peter was discussing the subject of retaliation. Jesus was reviled yet did not retaliate, and he is our example to follow. He then quoted Isa. 53:5 to support his position. He certainly was not referring to physical healing, but rather deliverance from the tendency to retaliate. Thus in Isa. 53:5, spiritual healing (healing from our sinful propensities) is most likely what is being referred to. It is also claimed that the word salvation (Gr. soso) carries the idea of total deliverance from sin and sickness. Perhaps the Greek word could mean all these things, however to claim that every single meaning of the word is intended whenever the word is used is contrary to common practice. This is called word loading – applying every possible meaning of a word every time it is used. The context is supposed to determine the meaning. The statement “I have my groceries in my trunk” does not mean that I have my groceries in my elephant, in my tree, or in my small suitcase. Clearly a car trunk is the correct meaning as is clear from the context. Similarly when the Bible speaks of our salvation, it most often speaks of our deliverance from sin and the curse of the law, not from all sickness and disease and poverty. 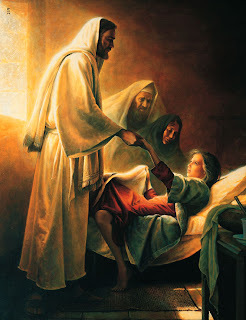 Although I do not believe physical healing is provided in the atonement in the same way salvation is provided, all who are saved will achieve perfect health in the next life. Healing is available through the gifts of the Spirit and the prayers of righteous men and women, but not guaranteed. Salvation is guaranteed for all who (genuinely) believe and thus it works every time without fail. People who believe are not always healed. Some are, some are not. 1 Cor. 15:42, 43 tell us that our natural body was sown in corruption and dishonor, but will be raised up incorruptible and in power. Right now it is subject to weakness and sickness, but after the resurrection, it will experience perfect health. But this is not guaranteed until then. In the event that believers get sick, it is perfectly in order to pray for healing and to call for the elders. However faith does not imply that one should dispense with medical help. If the Bible says that a merry heart does good like medicine (Proverbs 17:22), doesn't it imply that medicine is good? I believe that the majority of sicknesses today are caused by natural means - poor diet or unhealthy lifestyle choices. Christians would be well advised to take care of themselves physically. This would involve getting sufficient rest, eating well rounded diets, and physical exercise. Prevention is always better than cure. Denver Cheddie is a member of the New Testament Church of God (as it is known in Trinidad & Tobago) or the Church of God (as it is known internationally), and a graduate from their Bible Institute (July 2001). However he does not write on behalf of the organization. All of his articles are based on his interpretation of the Word of God and not that of his denomination. There are even minor points where his and the denomination's beliefs part ways. Although Denver is a moderate Pentecostal in theology, he distances him self from the practices of fringe Charismatic groups. * See Gordon D. Fee, The Disease of the Health and Wealth Gospels (Beverly, MA: Frontline Publishing, 1985).